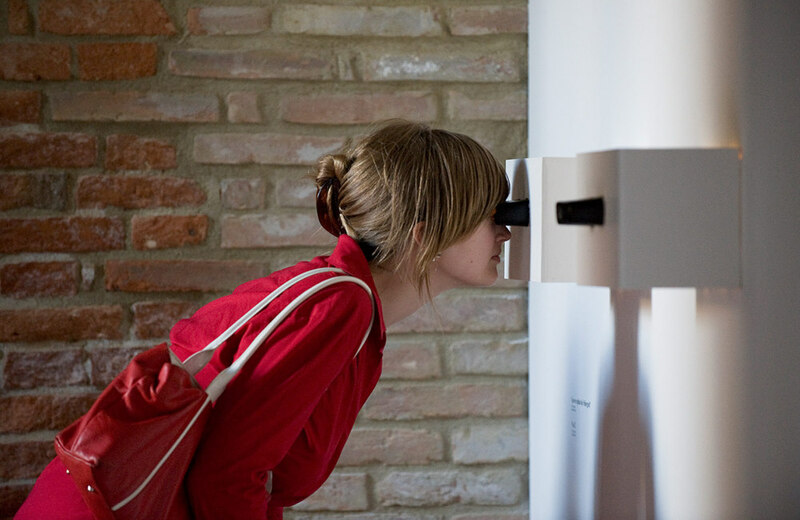 Creating an intimate experience for the viewer, the stereoscope presents a 3D image observed through special viewing glasses. 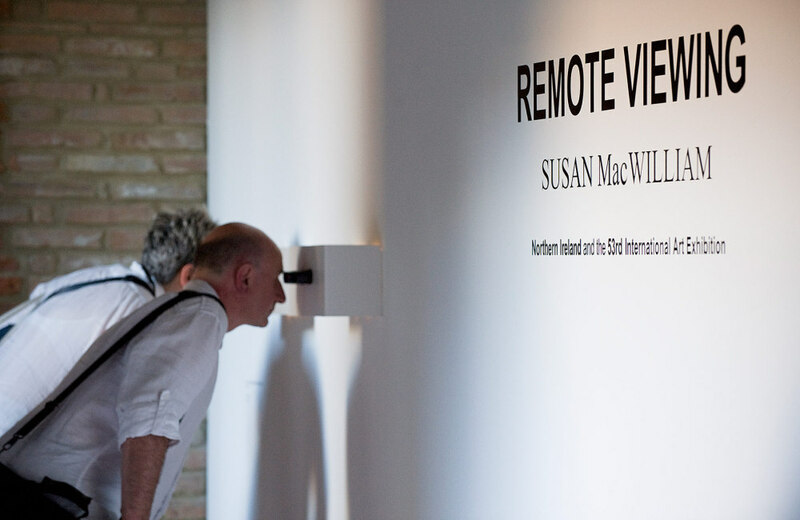 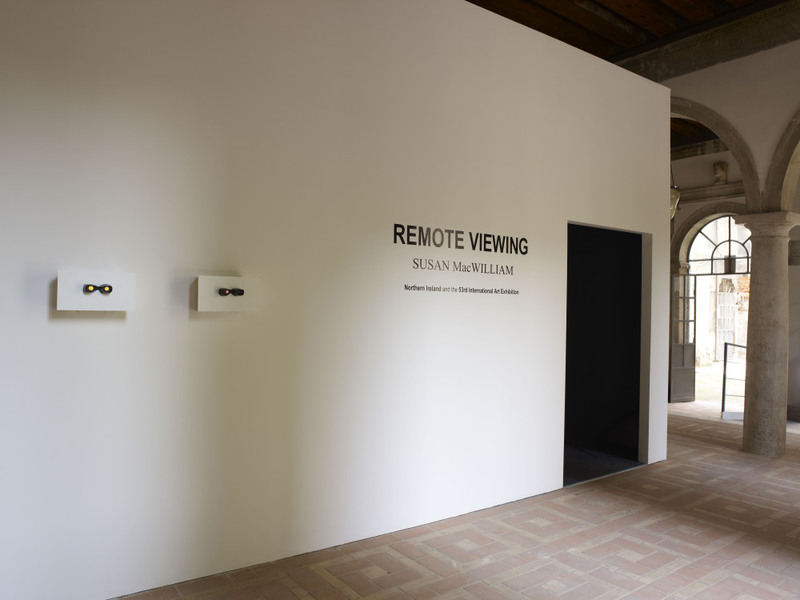 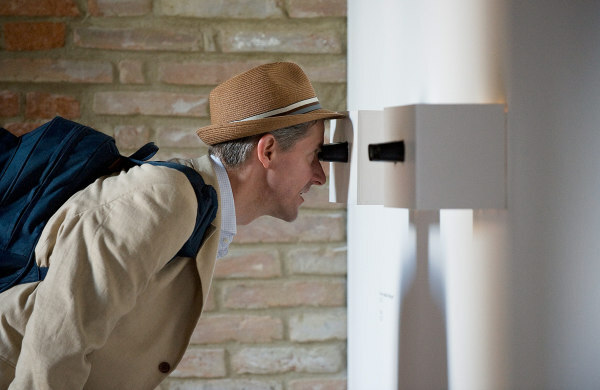 Two stereoscopes developed alongside the artist's 2009 film F-L-A-M-M-A-R-I-O-N for the exhibition Susan MacWilliam: Remote Viewing, representing Northern Ireland at the 53rd Venice Biennale 2009. 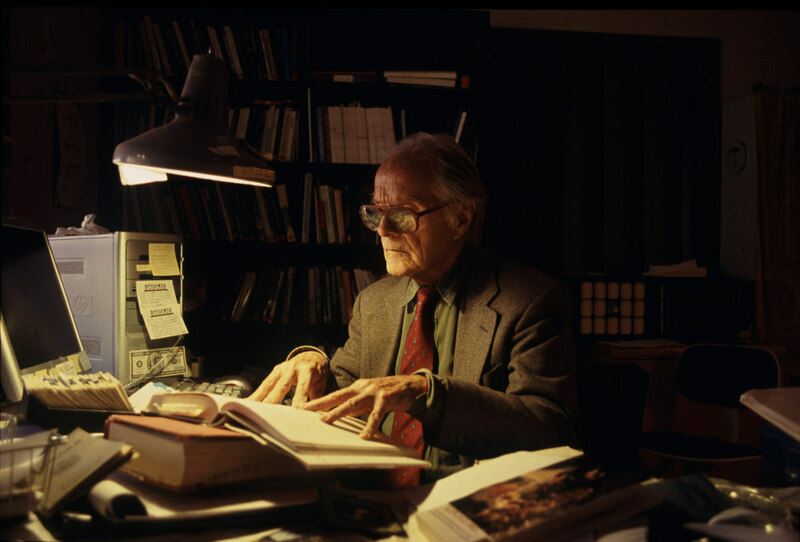 Poltergeist investigator Dr William G. Roll (1926-2012) is photographed in his study in his home in Atlanta, Georgia during the period recording him for his role in F-L-A-M-M-A-R-I-O-N. Belfast writer and poet Ciaran Carson, also a participant in F-L-A-M-M-A-R-I-O-N is photogaphed at his home in Belfast. 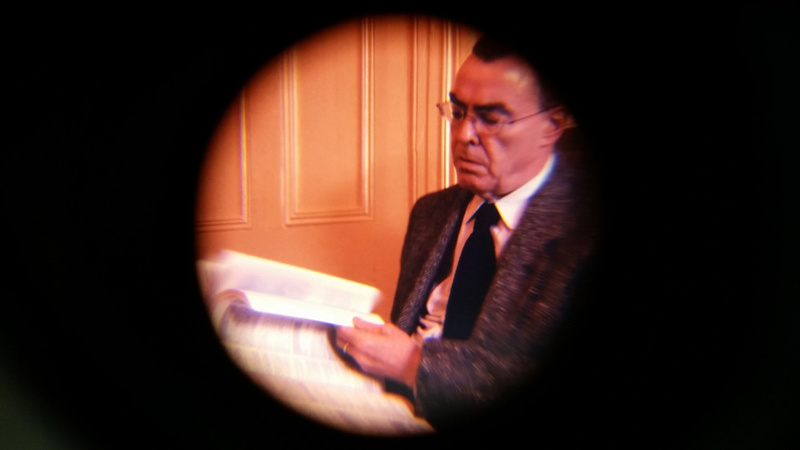 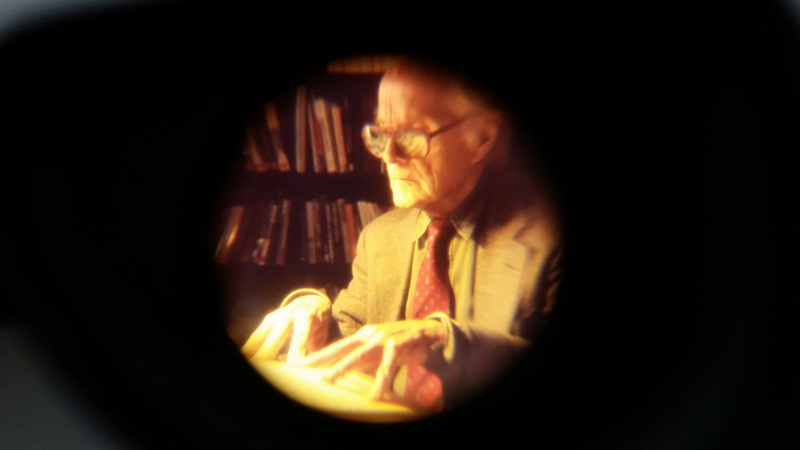 The subject of each stereoscope holds a book; Dr William G. Roll holds Can we explain the poltergeist? 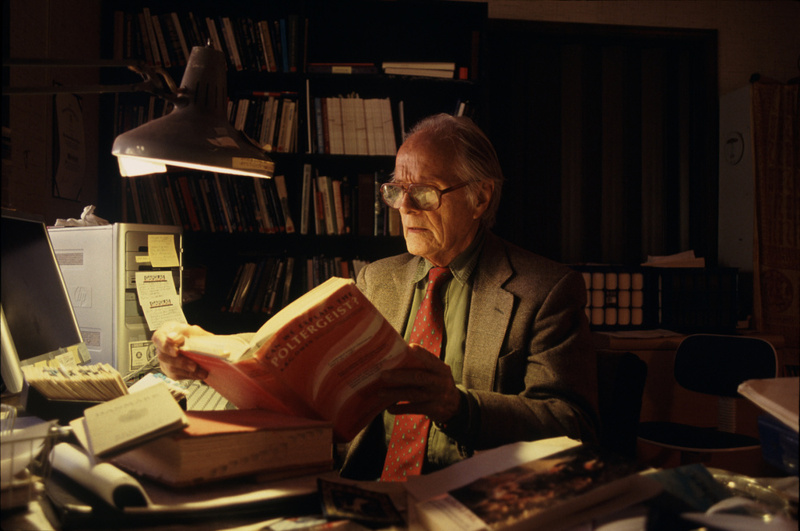 by A. R. G. Owen, while Ciaran Carson holds a dictionary containing words begining with the letters N to Z.